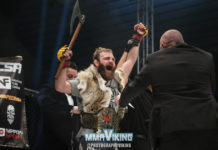 MMAViking.com has a chat with undefeated Søren Bak (6-0) on its popular “Fika Time” program sponsored by warriorcoffee.com (use ‘viking’ code for 15% off). 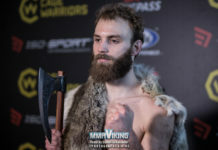 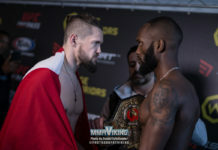 Fresh off his fight of the year candidate with Finn Aleksi Nurminen, the “True Viking” in his viking wardrobe talks about return back to school immediately after last weekend’s fight. 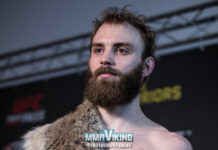 “I’m studying finance with a focus on pension” says Bak that give some insight into his personal life as he talks about fight life between his schooling and working at McDonald’s on the weekend. 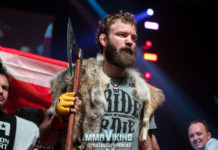 Check out the full video interview here!